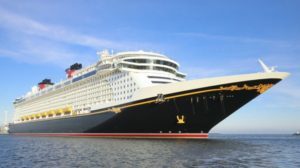 Listener Chris joins us again for a fun trip report aboard the Disney Dream. We discuss one of his families favorite sailings, the Double Dip to Castaway Cay. Following the cruise, he and his family visited Walt Disney World, Sea World, and Universal Studios. We discuss their experiences on VIP tours at both WDW and Universal. Enjoy everyone. If you would like to contact Steve or Christy, you can do so via Facebook or Twitter.